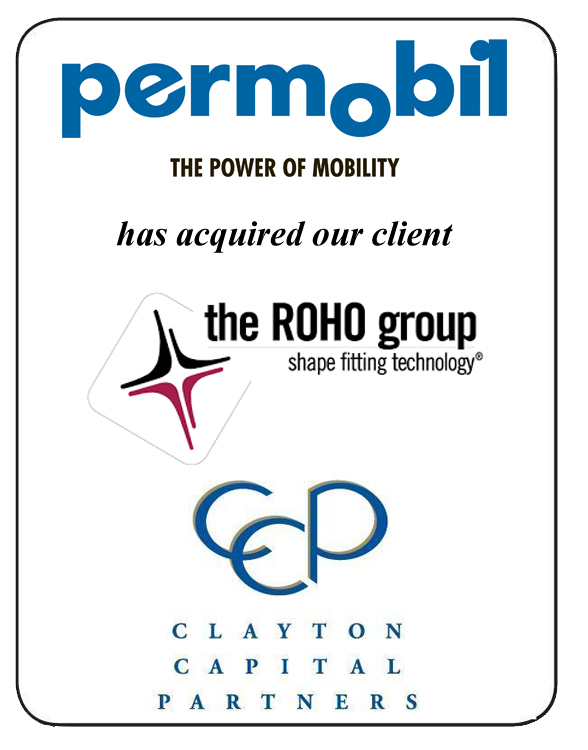 The ROHO Group, Inc., to Permobil. The ROHO Group, Inc. (www.roho.com), based in, Belleville, IL., is the global leader in customized seating and support surface solutions for medical applications. Permobil (www.permobil.com) based in Sweden, is a leader in the complex rehabilitation power wheelchairs industry.